Our newest eatery has received a glowing review from 365 Bristol! We thought we would share it with you, let us know what you think! This little gem of a restaurant is a welcome sight for an area that is usually full of chain, fast-food eateries. 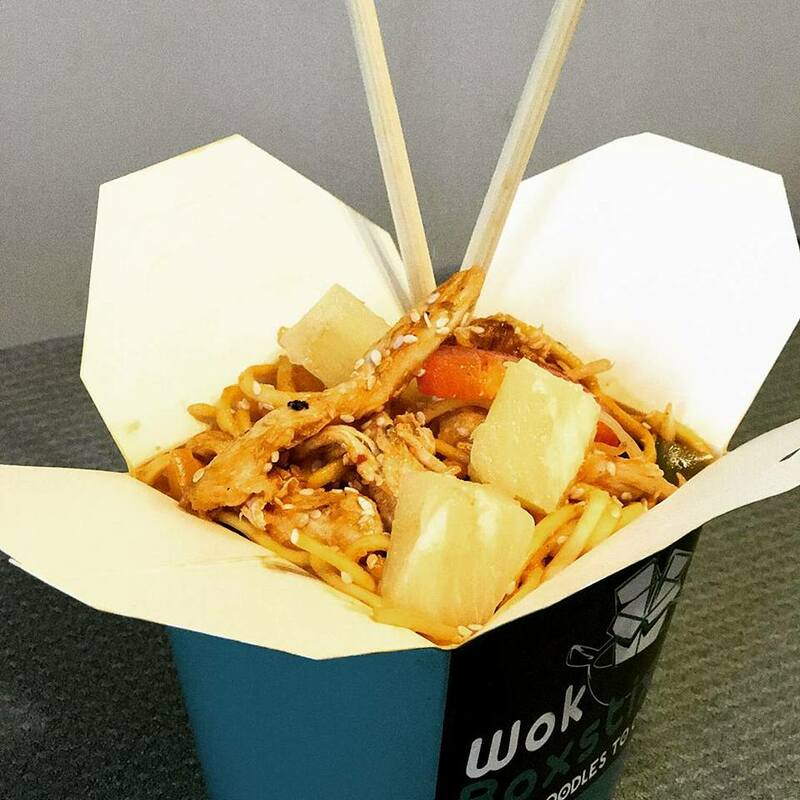 Wok Boxstix, located in The Arcade in Broadmead is an independent restaurant, brought to Bristol by couple Christina and Sanjivi. With their Malay and Indian backgrounds, the pair have combined their knowledge of food to create a unique Asian fused menu. With flavours from Thailand, China, Malaysia, India and more, they have special ingredients available like lemongrass and Kaffir lime leaves. All of their sauces have been created by themselves, with original takes on classics such as Teriyaki, Thai Green and Pad Thai. Unlike other noodle bars, all of their specially tailored sauces are made here in the U.K and all of their ingredients are sourced locally, using fresh farmers produce. What makes this establishment even more enticing is that they also have a strictly no MSG rule. It works by letting customers make their own noodle or rice box from the extensive options on the menu. You pick your noodle or rice base, decide on the fillings, chose a sauce and then add your desired toppings. I opted for a noodle box and chose rice noodles with chicken, shrimp, pak choi, and all the vegetables you can imagine. Accompanied by their Teriyaki sauce and a garnish of spring onions and peanuts. It was difficult to decide what to eat as every combination sounded equally as mouth-watering. My food was ready within minutes, cooked by their team of lively chefs using one of their many woks. It came hot and smelling delicious. With one mouthful it was clear that the flavours are authentic Asian tastes. The sauce complemented the noodles perfectly, making the whole dish fresh, light and utterly moreish. An average meal at Wok Boxstix will cost you around a fiver. Not much at all considering the hefty portions. They are running a promotional offer for a free drink and a free topping with every noodle or rice box. They also offer 20% discount for students, taxi and bus drivers and all NHS staff and emergency service workers. The team behind Wok Boxstix have a good ethos. Christina informed me that they trained all of their chefs from the ground up as they wanted to provide opportunities for people in the city who don’t have much prior experience. Their plan has certainly worked, the food tasted expertly made and the people making it looked genuinely happy to be there, they were always supporting huge smiles. Wok Boxstix are proof that quick food can exist with local, quality ingredients for a very decent price. A refreshing sight for its destination. 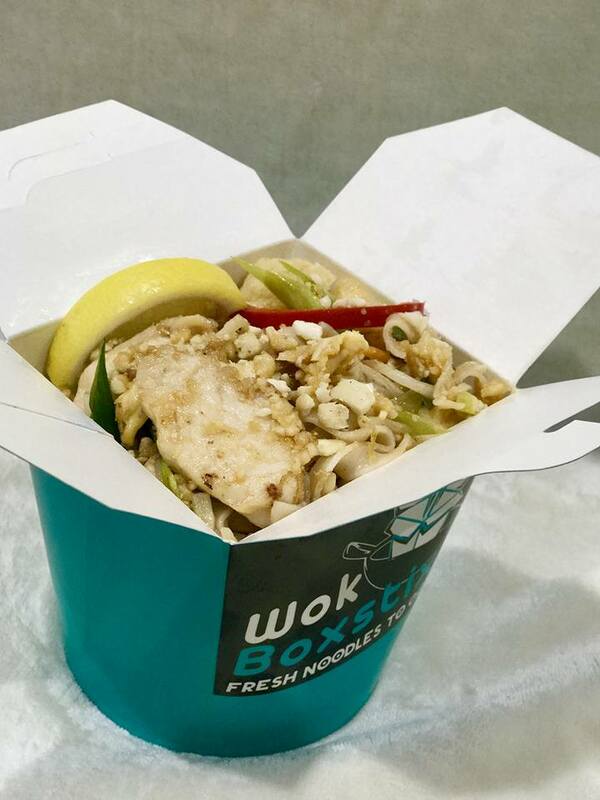 Next time you’re hitting the shops, stop by Wok Boxstix for a bite to eat – trust me on this! 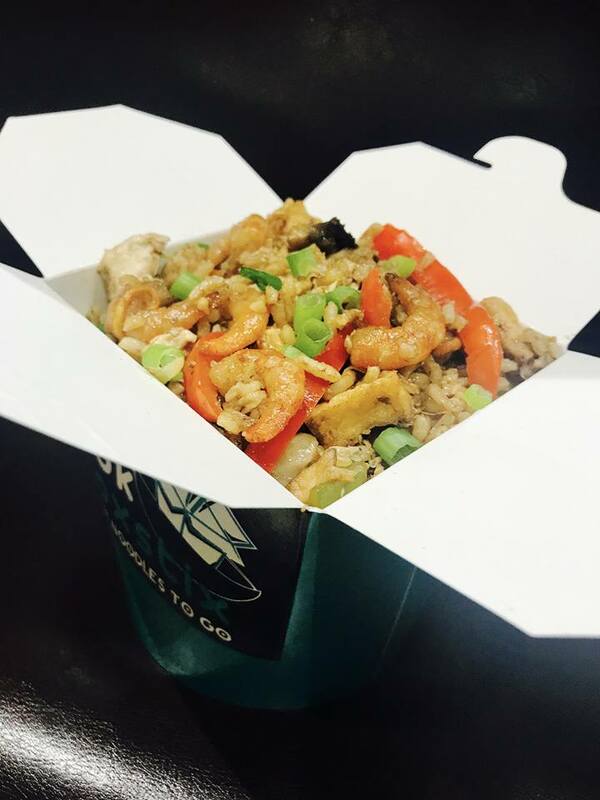 You can also order from Wok Boxstix on Deliveroo.